Astronaut Neil Armstrong, the first man to walk on the moon (in 1969), died this week at the age of 82. (see our Tuesday 8/28 Daily News Article). 1. 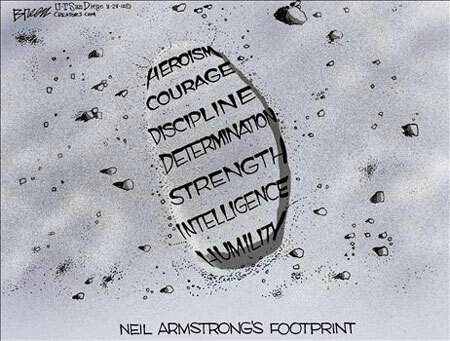 What is the point of Steve Breen’s cartoon?